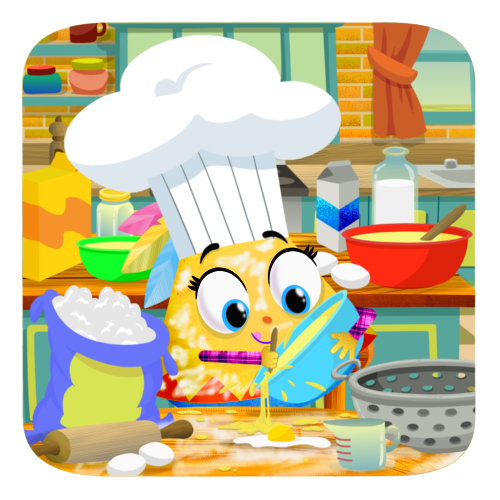 It’s time to show off your cooking skills! Nana’s prepared two of her favourite recipes for you to try at home with your parents. As always, be careful when working in the kitchen, you don’t want to get hurt! Put flour, salt, and baking powder in a bowl and mix. Pour melted butter and water over flour mixture and use a fork to make into a ball. Put the dough on a lightly floured surface, and knead gently for 10 minutes. Flatten it into a flat circle ¾ inch thick. Cook in a greased frying pan over medium heat, allowing about 15 minutes for each side. Bake on a greased baking sheet at 350 degrees F (175 degrees C) for 25 to 30 minutes. Put all the ingredients in a large bowl and mix thoroughly. Bake for 55 minutes or until a toothpick inserted in the centre comes out clean.